Take your entertainment to go. 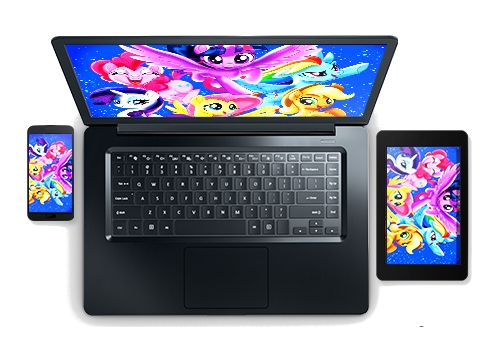 Enjoy the entertainment you love any time, anywhere, on your TV, computer, laptop, or phone1. Stream over 100 channels live including HGTV, Fox News Channel, ABC, MTV, and more. Plus thousands of blockbuster movies and hit shows On Demand. 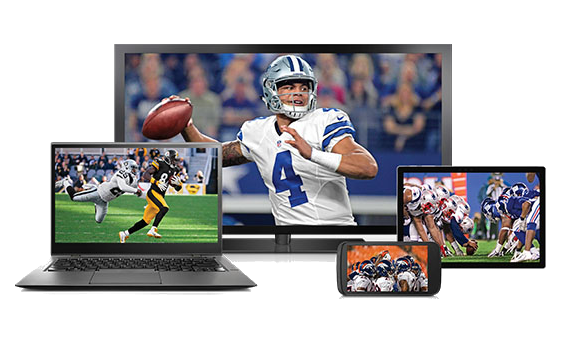 Only DIRECTV brings you every out-of-market NFL game, every Sunday with live games on your TV, phone, computer, or tablet2. You can also get real-time fantasy coverage on the exclusive DIRECTV FANTASY ZONE™ channel and every scoring drive on the RED ZONE CHANNEL®. ​Now you can watch shows from the beginning even if you tuned in late or forgot to DVR them from the last 72 hours. 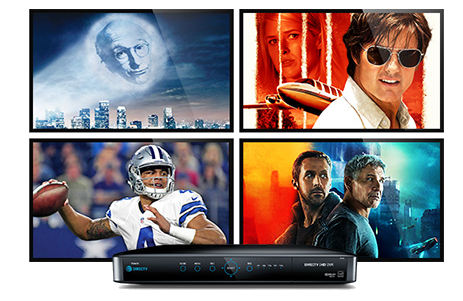 Plus, Genie powers your whole home and eliminates recording conflicts by recording five shows at the same time, all in HD3. And you get up to 200 hours of HD storage, so there's more than enough room for all your favorite shows.